The iPhone has been applauded for its crisp, clear images, but who knew they could actually jump right off of the screen? 3D artist Mike Ko designed this short animation as his graduation project, and it is definitely worth watching. 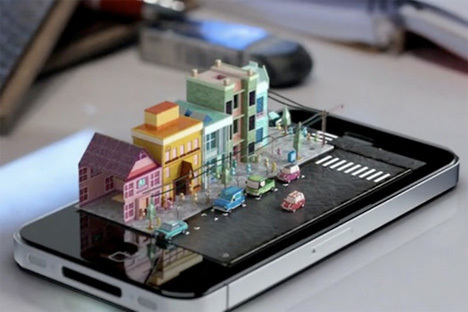 The short, called iPhone Diorama, took Ko three months to complete. The animation is so superb that it almost feels like you can reach down and pluck that tiny car off of the iPhone’s screen. Alas, we’ll just have to satisfy ourselves with watching the video a few more times.